Apologies for the sudden, intense wave of longing for summer sunshine that just washed over you. According to the caption on Getty, you’re looking at “A women’s baseball team in Tokyo, Japan, circa 1960. 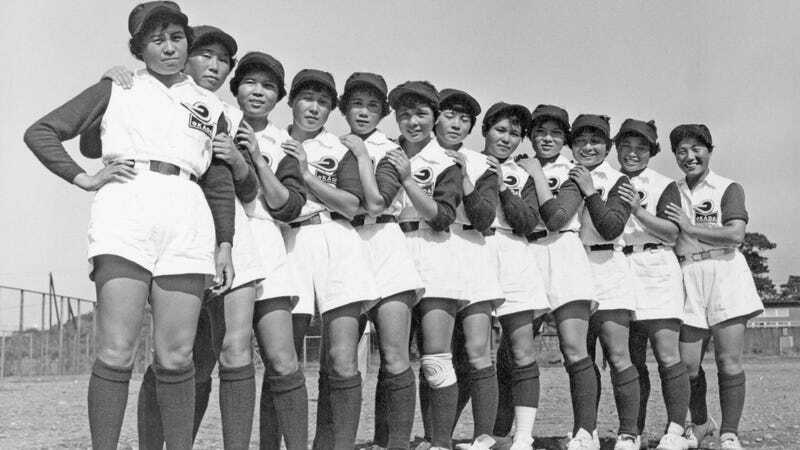 They each have a badge reading ‘Okada’ on their uniforms.” There’s no further information, which leaves some questions: Was there an active women’s professional baseball circuit in Japan circa 1960? Is this a League of Their Own scenario? If you know anything about women and baseball in midcentury Japan, please do spill.